"The book is written in a conversational style that made me think of sitting down with a close friend and listening to a lot of wacky and (occasionally) bittersweet stories. I was so caught up with the narrative that I was surprised by the time I got to the end. The author wrote a memoir that touched on the human experience in a way that is honest and thought-provoking." "At turns, hilarious, saucy, witty, heartwarming and incredibly moving." "The book's originality lies more in it's honesty about the grubby reality of expat life that conventional travel literature prefers to gloss over." "... it's like Scott's perpetually dipping into his wallet to buy the next round. " "Jack Scott has a genuine gift for comic writing." "Although this is Jack Scott’s first book, he’s a wonderful raconteur and writes like a seasoned author." "Empathetic, respectful and pretty acute." "The book includes a list of colourful characters, British and Turkish...almost Dickensian in their eccentricity, humour, melancholy, self-delusion, kindness and casual cruelty. There is heartlessness and tragedy here but also a generosity of spirit and a positivity, along with a dogged determination to see the best in humanity..."
"An entertaining story, told with wit and insight." "Funny and insightful and poignant all at once." "Perking the Pansies was my companion on a long and boring journey and boy did it perk me up! Loved the writing - easy flow and sharp, witty turns of phrase - and the story had me riveted from the start. " "Throughout the book I was tittering, teary-eyed with sadness, nodding knowingly and saying, "I hear you, I hear you," to myself - and I'll even admit to a bit of sniggering, too. It's a lot of mixed emotion to go through over the process of reading a few pages and that's what makes the book such a good read. 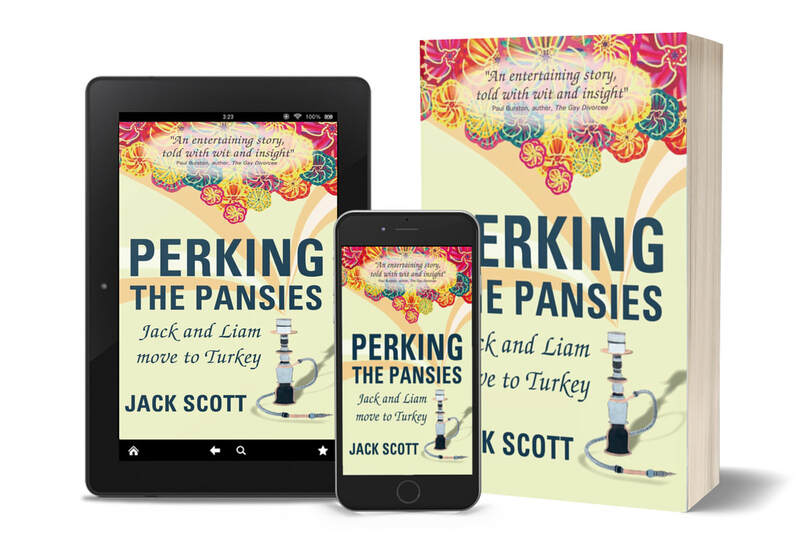 And, as I was reading the book, I couldn't help but think the characters, events, drama, comedy, sadness - they're all just shouting out to become Perking the Pansies, the TV series." "It’s a good account of the light and shade of an off-the-wall expat lifestyle, told in a fast-paced and highly amusing way." "My sides still hurt from laughing. Kudos on writing a beautiful, tender and truly funny book that I can’t wait to read again. " "I enjoy reading about other people's experiences of post-colonial life in places where most ex-pats still behave like old colonials. Perking the Pansies is a delicious addition to the tradition which, for me, began with Gerald Durrell."